When will be Babes next episode air date? Is Babes renewed or cancelled? Where to countdown Babes air dates? Is Babes worth watching? Babes focused on sisters Charlene, Darlene, and Marlene Gilbert, who lived in a huge studio apartment in Manhattan. Darlene, who was the oldest, was divorced and worked as a dog groomer. Charlene, the middle sister, was a makeup artist for a photographer. While the youngest, Marlene, had no job at all and was at a loss about what she wanted to become. 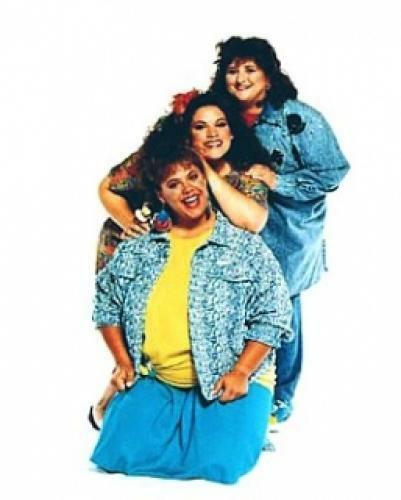 The show set itself apart from other shows at the time in that all the three sisters were overweight and were played by overweight actresses. EpisoDate.com is your TV show guide to Countdown Babes Episode Air Dates and to stay in touch with Babes next episode Air Date and your others favorite TV Shows. Add the shows you like to a "Watchlist" and let the site take it from there.